After suffering from heavy losses due to a weakening US dollar, Vietnamese exporters on Friday called for soft credits, an outlet for their foreign currency and protested against central bank’s tightening monetary policies. 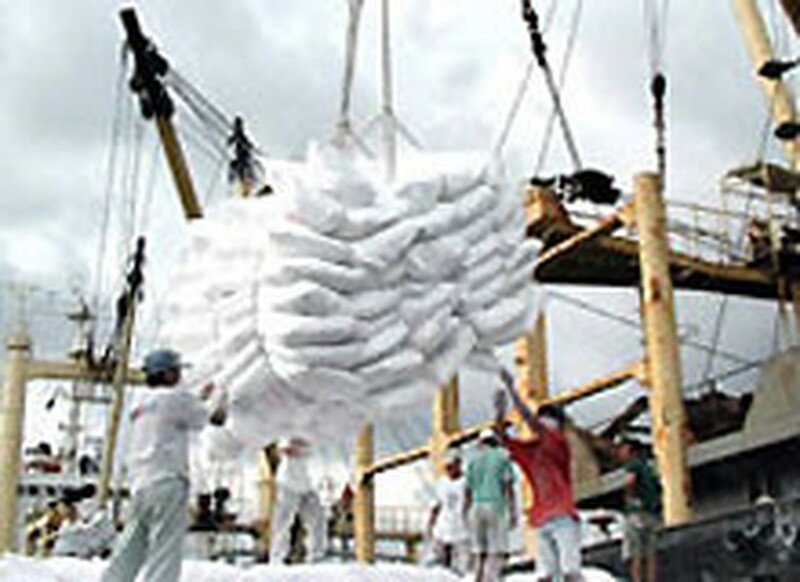 Rice loaded onto a ship in Sai Gon Port for export. During a meeting with representatives from the Ministry of Industry and Trade in Ho Chi Minh City, cashew, seafood and plastics exporters complained they are having trouble exchanging the dollars they earn from export contracts. “The cashew harvest season is now beginning but local exporters have no money to buy as banks don’t give loans any more,” Viet Nam Cashew Association’s Deputy Chairman Nguyen Thai Hoc lamented. “Local lenders also refused to buy US dollars”, he added. His association estimates an average loss of VND2.5 million to 2.7 million (US$158-170) for every ton of cashew exported. Likewise, pepper enterprises lost VND7.5 billion to 10 billion ($473,156-$630,875) when exporting 10,000 tons recently. As a result, the Southeast Asian country’s export growth rate dropped to 23.3% this month from 29% in February. “Without counting the earnings from exported crude oil, the growth rate of the export sector was only 15 percent”, reported the ministry’s Export Department head Pham The Dung. To cope, some local exporters are delaying foreign contracts, which could invite lawsuits from their overseas partners in the upcoming days, said a trade ministry delegate. Deputy Minister Nguyen Thanh Bien told the meeting he would instruct local banks to offer preferential interest rates to exporters and buy their dollars. Meanwhile, Viet Nam is also hit by a widening trade deficit which in the first three months of this year is forecast to rise 67% from a year ago to $7.5 billion. On the whole, the national annual deficit has been forecast to climb to $20 billion from $16.97 billion earlier projected. Last year, the gap more than doubled to $12.4 billion as imports jumped 35.5% to a record $60.8 billion.